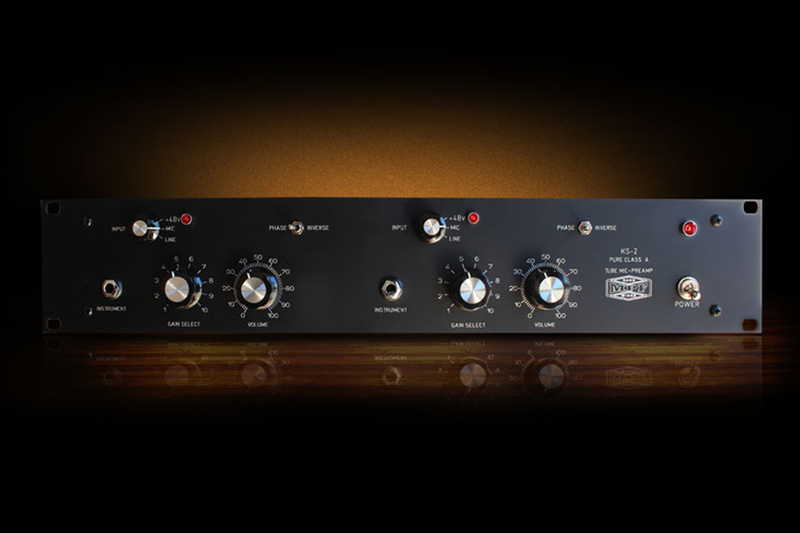 Two-channel tube mic preamp with a really warm sound that will no doubt become one of your favourite tools. 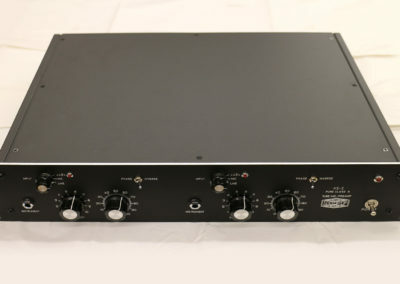 Mic preamp with two channels, inputs and outputs balanced through Lundhall transformers, phantom power for condenser mics, line input plus high-impedance DI inputs for instrument, 10-position gain control. 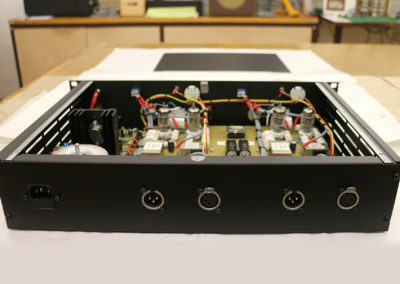 Output volume and phase switch. 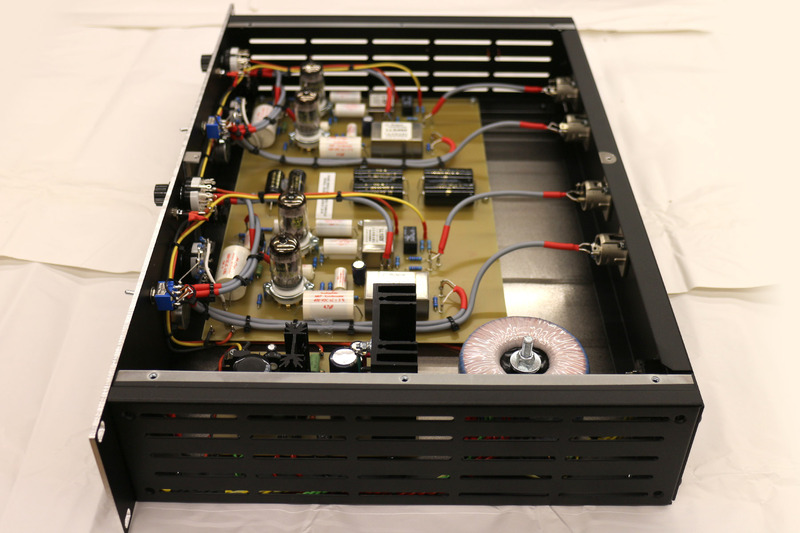 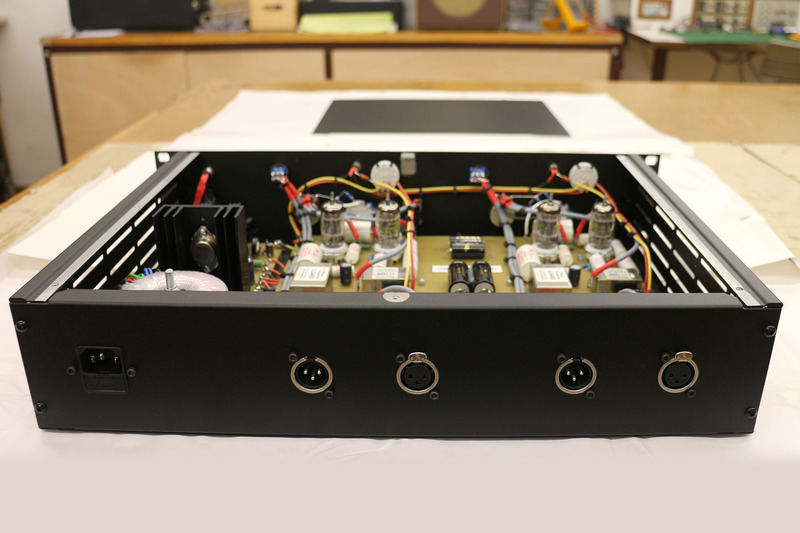 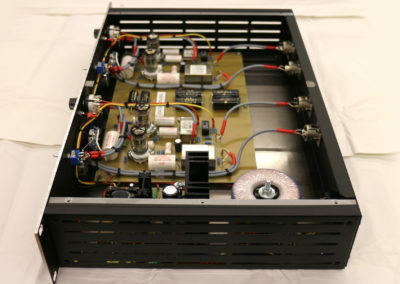 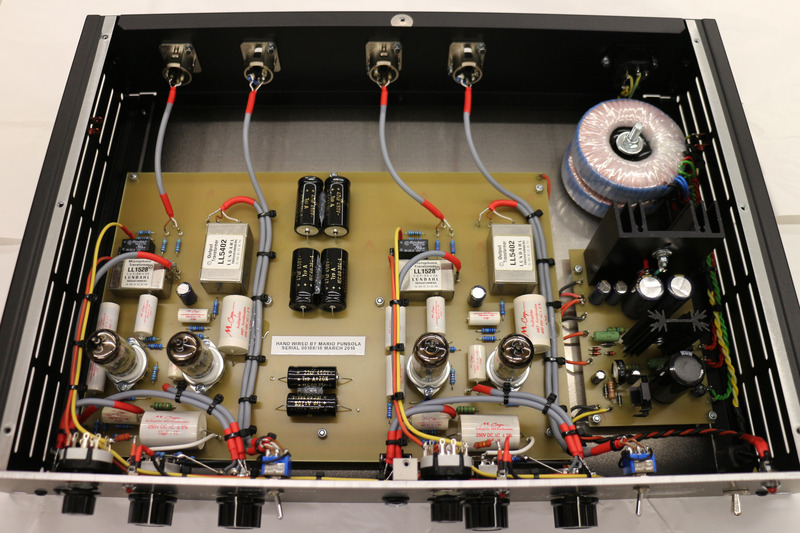 High-end components, low-noise metal-film resistors, F&T and Mundorf capacitors, custom toroidal power transformer, new 2U rack unit in black anodized aluminum. 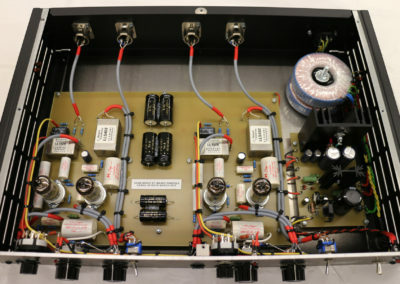 KS-2 uses four 12AU7 tubes. 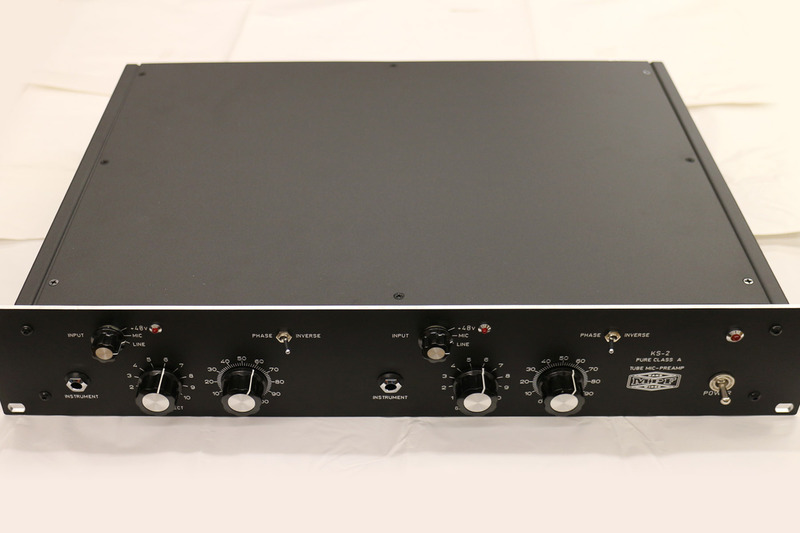 Send us your contact information, we will answer you shortly to resolve all your doubts and if you want to start working on your new preamp.